This book details the story of five Chicago & North Western Railway F7 diesel units that saw a wide variety of uses over 40 years of service. Purchased as freight units intended primarily to replace steam power, they were ultimately selected for the prestigious assignment of pulling the C&NW's business cars. Supporters soon nicknamed the units "Presidential Fs" in recognition of their lofty status. 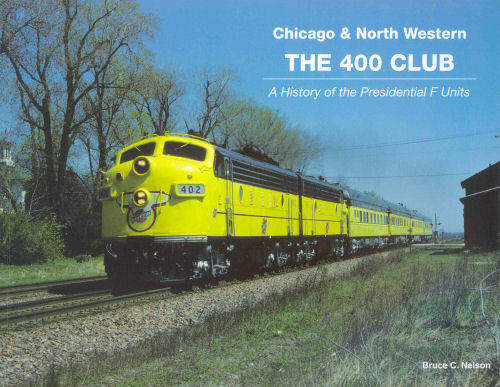 Another name bestowed on them was "the 400 Club," stemming from their renumbering to the 400 series in honor of the historic C&NW streamliner known as the "400." Author Bruce Nelson takes a chronological look at the history of these units, including mechanical details, operational assignments, stories from C&NW employees, and the units' ultimate disposition following retirement in 1989. Soft cover.